It’s the last post in the Proverbs 31 series! I can’t believe I’ve already been blogging long enough to hit this point! Some of you may know I previously had another blog, a blog that was created out of a selfish desire to make money and get stuff for free to review. While there’s nothing wrong with that in and of itself, it’s wrong when you have no fear of the Lord in your work. 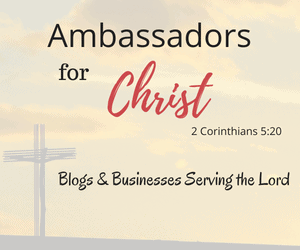 I didn’t let the Lord guide my decision making about what to post on the blog and therefore it didn’t succeed. You have to have a healthy fear of the Lord to have success as a Christian. Otherwise, He will not bless your work and it will be hard to make a success out of your own power. 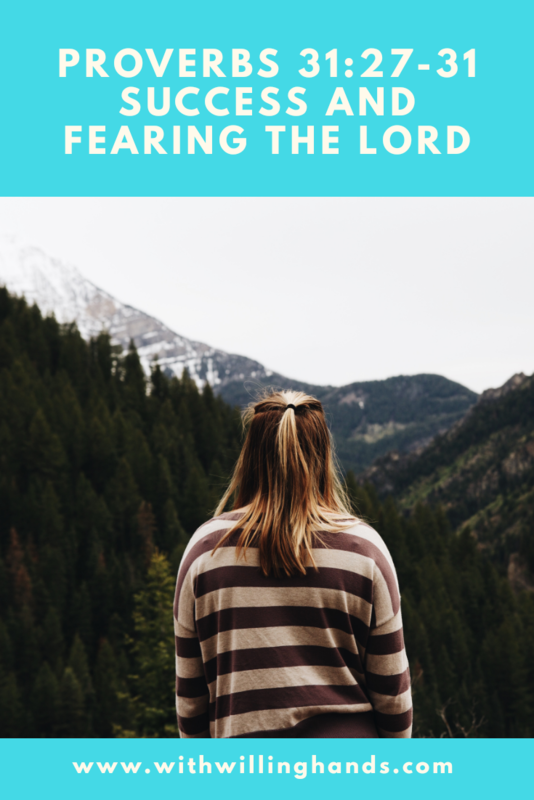 What exactly does it mean to fear the Lord? Are we to be afraid of Him? That doesn’t sound right, God’s love is supposed to expel all fear right? Yes, God’s love expels all fear but the fear of God. The fear of God is not like other fear, it’s healthy to have. We need it to live a successful Christian life. 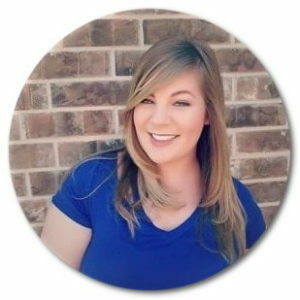 What does a successful Christian life look like for a Proverbs 31 woman? I will give you 3 examples of what a successful Christian life looks like for a Proverbs 31 woman and give you some tips on how to live it out! The Lord brings success to those who fear him, as we see in Acts 9. We need to hold him in reverence and fear disobeying Him. The Word of God tells us not to fear man but to fear God who can destroy both body and soul. If you’re a Christian and this scares you then you are looking at this in the wrong way! God loves you and if you believe in the death and resurrection of Jesus Christ for the forgiveness of your sins then you are saved and you have no need to fear being destroyed in Hell. No, this reminder in the Word of God, found in Matthew 10:28, is to tell us not to fear what mere mortals can do to us! That brings me to the first characteristic of a successful Christian woman, She is not afraid of people. Successful Christian women don’t fear people. They fear God and Love people! They don’t fear what people might say about their work or fear what reactions people might have to it. No, a successful Christian woman reacts towards people in love before they even act! The greatest commandment we were given is to love the Lord our God with everything we have, and to love our neighbors as much as we love ourselves. So to be successful we need to live out this commandment in our daily lives. Show love to all those you encounter, even if they don’t like what you have to sell or say. Don’t fear people, for fearing people only hurts you. Successful Christian women are not idle. They are hard workers! They take care of their homes and ensure that everything is running smoothly there. Some also work outside the home and ensure their job is done well there too. ( To read more about whether Christian women should work outside the home read my post here.) They do everything as unto the Lord! From wiping baby bottoms to crunching numbers at work, they do it all for the Lord’s glory! So don’t let the sin of idleness sneak up on you. I don’t mean that you shouldn’t take time to rest, God commands that too! What i’m saying is don’t let your life be one full of “oh I’ll do that tomorrow”. To be successful in this I suggest making a to do list. They are so helpful when it comes to staying organized and on top of things. You can see all you have to do and see how you can break it down into easy steps to get things done. Don’t be idle in life, do the vital in life! Successful Christian women make prayer a priority. Prayer needs to be a priority in our lives as Christian women. We want God to bless our business but how often do we ask God for specific blessings on it? The more specific we are in prayer the more likely we are to see our prayers answered! Pray boldly, ask big, our God can do anything and longs to bless His people doing His work! So whatever He has called you to do pray for His blessing to be upon it. Also, make prayers for the success of others a priority. Selfless acts always bring back blessings to you in some form or fashion! However, that shouldn’t be why we do it. We should pray for others because the Lord commands us to Love our neighbors as much as we love ourselves. The easiest way to show someone love is to pray for them! If you want to see success in your Christian Life the most important thing I can tell you is, DON’T GIVE UP! Giving up ends the success journey no matter what. There’s no possibility for things to turn around if you just give up. Fear the Lord always and you will have a model for success. Success in the Christian life doesn’t always look like what we think it should. I’m not preaching a prosperity gospel here, I don’t believe in it. I believe that God will see His will done no matter what. However, He can use you to do His will only if you’re willing. He will find someone else to do what He had for you to do. Don’t give up when the going gets hard. When the going gets hard, pray! Pray for strength, pray for guidance, don’t sit around idly waiting for God to move when He already told you to move! Don’t fear what people think or say, what they may do to you for standing on God’s truth. Fear God alone, and life will be easier than you ever thought it could be. What are you’re tips for success for life as a Proverbs 31 woman? What do you think keeps Christians from living in a place of success? Tell me in the comments below, I’d love to hear from you! For me living my life well that God has given me. To trust when things are hard. To do all that I do well and for the Lord. I don’t work outside the home so sometimes it doesn’t feel important. Even in the hardest day keep your eyes on God because He is with me and with you. Lean on friends and let them speak God’s promises and truth into your life. For me, this also means sharing my journey. I share as special needs mom, share what God has taught me and encourage others. For me, the main thing is living all of life to make much of Jesus, and to love others well. That’s what a Proverbs 31 woman does in wisdom: everything is centered around bringing glory and honor to the Lord, and one of the key ways she does that is in the ways she cares for others. It’s the way Jesus summarized the Father’s commandments. It’s the way Jesus Himself lived perfectly in our place and died sacrificially in our place. I also think the key to success is recognizing that no amount of “striving” on our own will help us accomplish that high + lofty goal. We actually must rest in the gospel truth that Jesus has done what we could/would not, and now His Spirit frees + empowers us to strive for that lofty goal from a place of having already received the Father’s approval and acceptance through Christ alone.